The Perfect Teacher presents a pragmatic, practical guide to help you grow and flourish so that you can become the outstanding teacher who makes the difference between success and failure for the next generation. Expectations are high, time is short - prepare to be challenged and supported to be the best you can be. This book will inspire teachers to sustain their enthusiasm and passion for teach… ing. It demonstrates how to develop the habits of independent learning for all pupils and provides practical strategies to deliver outstanding learning that can be used and adapted for every age group or ability in all classrooms and includes developing pupils who respond to feedback and make good progress. 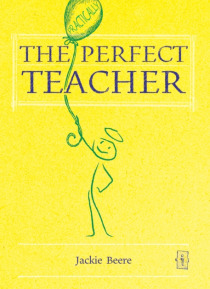 The Perfect Teacher is vital reading for all teachers and school leaders who wish to make an impact on the learning and progress in their school. It is based on research (Hattie and Dweck) that shows the most important factor in the achievement of pupils is the mindset of the teacher - this book aims to grow that mindset. It shares great practice that works for all different types of teachers to deliver outstanding learning and engage all learners and champions children and teachers as learners but is also rooted in the latest Ofsted framework.